A permissive cycle route is open to cyclists from Easter until the end of October and during the Wilderness Festival in August. 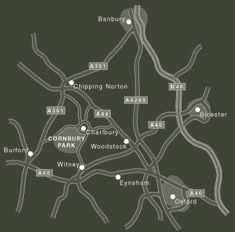 The route runs from the North Lodge entrance of the estate to the Southhill Business Park, and on to the Witney Road. It follows the line of the present footpath and uses the recently surfaced route around the gatehouse. 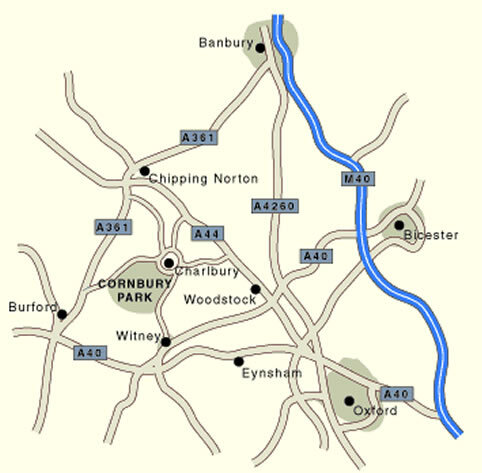 The route allows safe off road access to and from Charlbury and Finstock and provides a safer alternative to the Fawler Road. Users are asked to remember this is a permissive route and that they should give way to walkers and respect wildlife. They should also take care on the access road between Southhill Business Park and the Witney Road.